When you think of crock pots, you think of stews and soups, but maybe it is great as a double boiler for chocolate. The low and slow temperatures are perfect for melting the chocolate and you won’t have to worry as much about scalding due to that controlled temp. 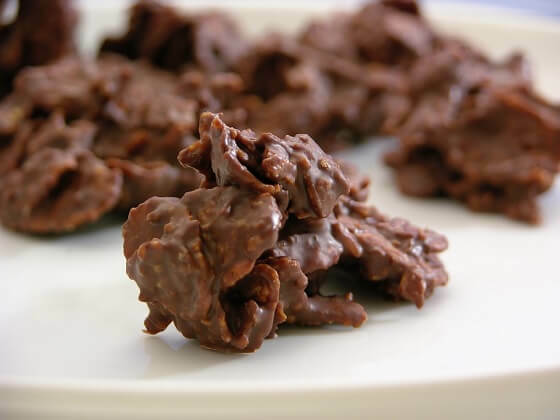 Tricia Yearwood follows that logic to mix together two type of chocolate, German and Semi-Sweet, adding in Almond Bark and peanuts to make these delicious clusters. Many people shy away from making candy at home, due to the perceived complexity and skill required. However, country star Trisha Yearwood has a secret, easy to make candy recipe that’s sure to impress everyone. The key is repurposing a common household device: the slow cooker. Using the slow cooker allows the ingredients to melt together perfectly without overworking the chocolate.